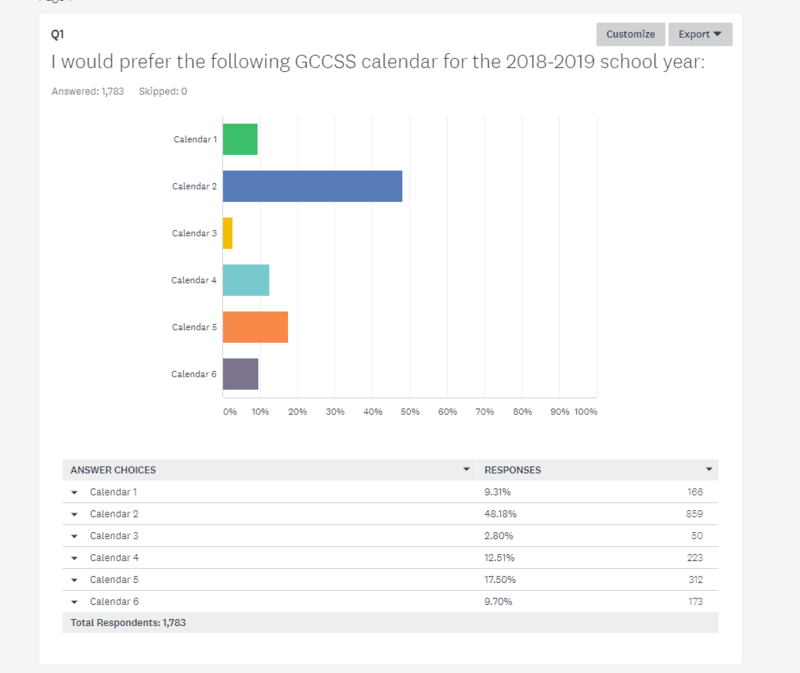 ELLIJAY, Ga. – Final tallies have been made and the Gilmer County Board of Education (BOE) have officially approved their calendar for the 2018-2019 school year. The 2018-2019 Calendar Poll Results (click to enlarge). A stark change this year showed one calendar was far above the others. Calendar 2 collected 859 votes, accounting for 48.18 percent of the vote. 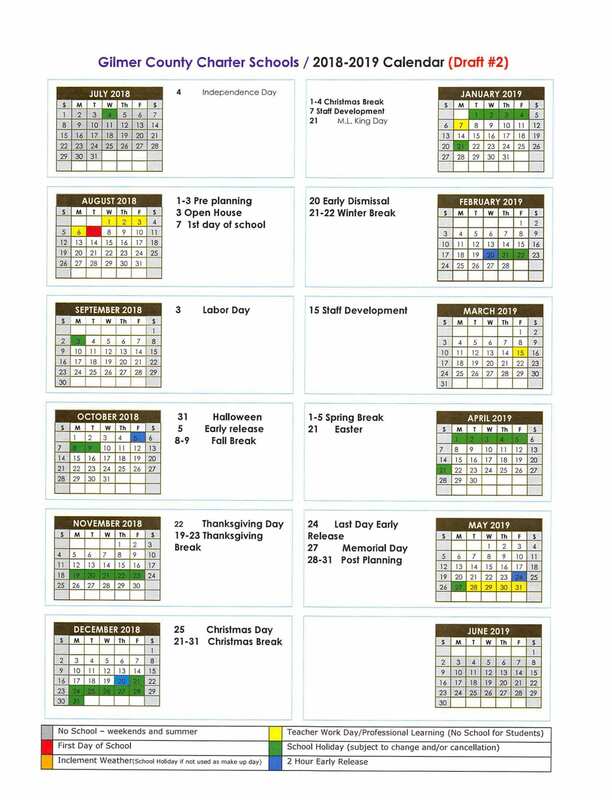 Approved by the board, this calendar is set as the plan for the next school year and will be utilized to plan everything for the coming year. 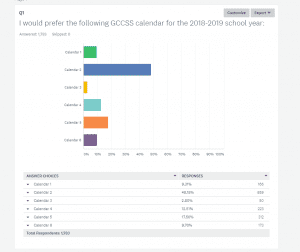 The votes were collected over the last month online on the BOE’s website through polling from public citizens, but the candidate calendars were created by teams within each school before being submitted for consideration. Be sure to look below to find the Draft 2 Calendar approved in the board’s March meeting. Also set for next year, schedules were set for salaries and supplements. The workforce continues to see rises in insurance as well as minor changes for positions in transitions as well as the step up raises for staff and teachers hitting milestones in their careers. Financial reports were presented at the meeting setting the board’s status as of the end of January with revenue coming in over expenditures by $5,168,037. Just past the fiscal year’s midpoint, the finances still reflect expectations to see that number drop under expenditures to -$1,298,797. Though no one showed for the board’s first scheduled budget session for next year, there will be another meeting set for citizens to speak closer to June as the budget gets set into detail for the next fiscal year. Along with finances, the board ratified a purchase approved by poll for equipment purchases for the elementary and primary schools. 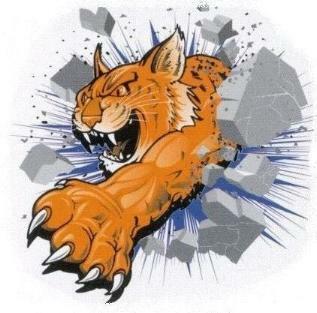 Mountain View’s approved expense equaled $85,179 from Southeast Outdoor Solutions. Ellijay Elementary’s approved expense equaled $71,88o from Superior Play Systems. Ellijay Primary’s approved expense equaled $76,493 from Hasley Recreation Inc. All three purchase funding comes from the Local Capital Projects budget. « Previous Article A New Day!